This is one of the more unusual stories I have read about the relationship between agriculture and climate. 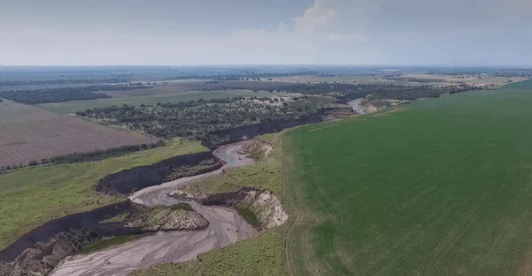 A set of new rivers has appeared in Argentina, due to a combination of factors that includes land use changes associated with growing soybeans and a rainier climate. The rivers are rapidly eroding farmland, leaving behind deepening canyons and washing away soil. In the worst cases, entire fields can disappear almost overnight. You can read the full story at The Guardian at https://www.theguardian.com/world/2018/apr/01/argentina-new-river-soya-beans?CMP=Share_iOSApp_Other.